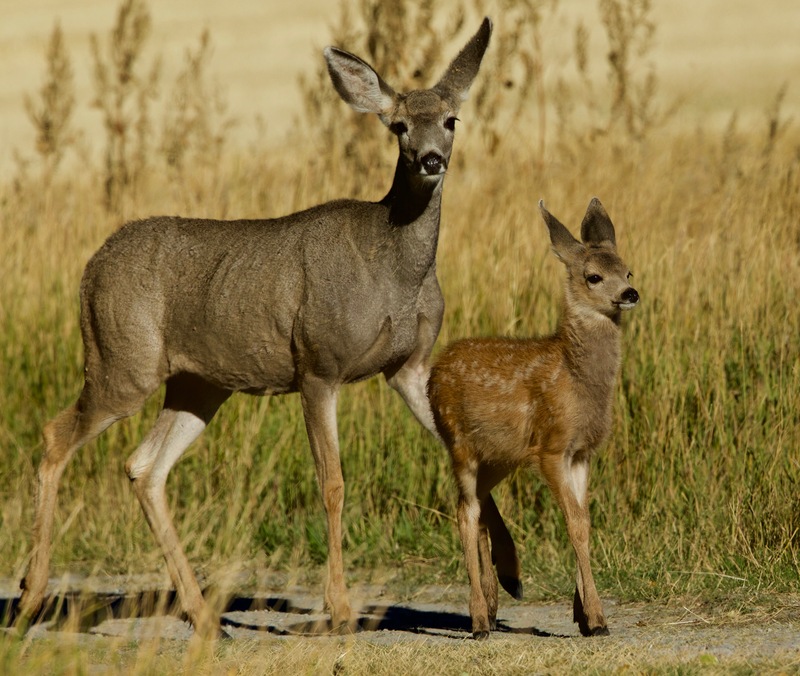 This morning I was sneaking up on a herd of at least sixty elk (Cervus canadensis), with several bulls bugling away, when this mule deer (Odocoileus hemionus) and her fawn turned the corner at close range. They stared at me for quite awhile, not knowing what to make of me. 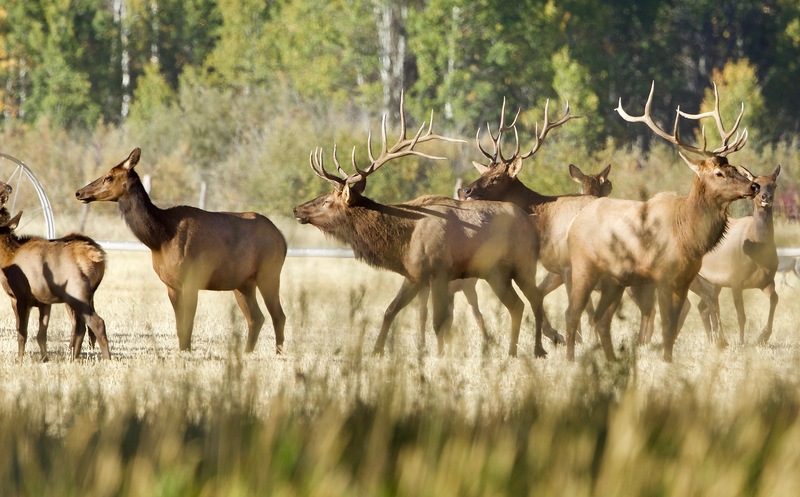 There were several bull elk, and they were mixing it up. There are literally thousands of migrating mallards in my creek. This is a very small sample. It’s a good thing I don’t have to feed all of these! 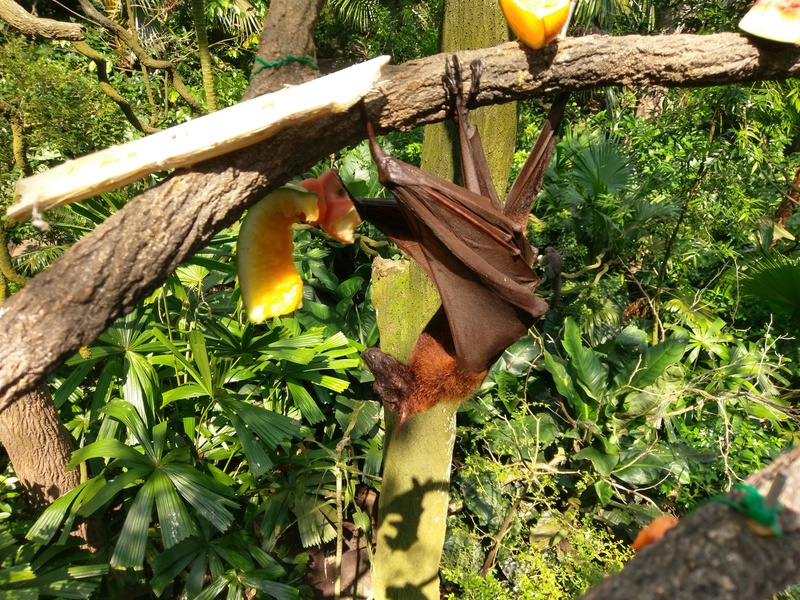 Two quick photos I took while visiting the Singapore Zoo which is like being in the jungle. I’m not sure what the exact species are. This entry was written by whyevolutionistrue and posted on September 27, 2018 at 7:45 am and filed under birds, mammals, photography, reptiles. Bookmark the permalink. Follow any comments here with the RSS feed for this post. Both comments and trackbacks are currently closed. Wonderful pictures! 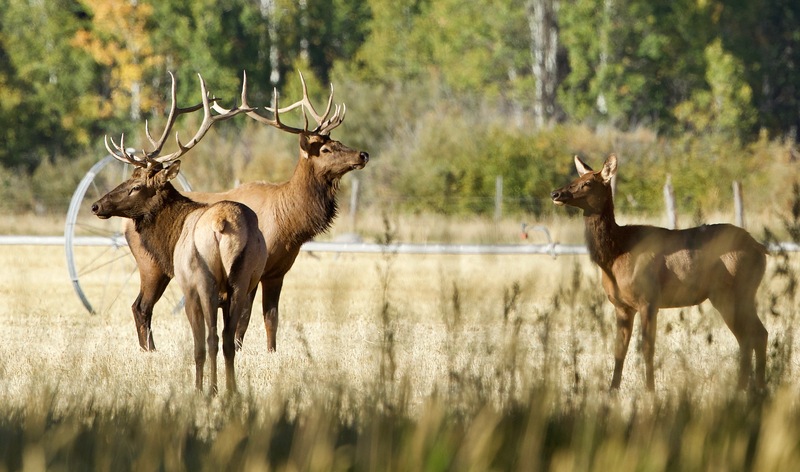 I get out into the woods as much as I can, and had some pretty startling instances of turning a corner and being very close to groups of whitetail deer. They are as surprised as I am. They freeze. I freeze. Then they bound off, palpably shaking the ground as they depart. I will let others ID the Singaporeans. 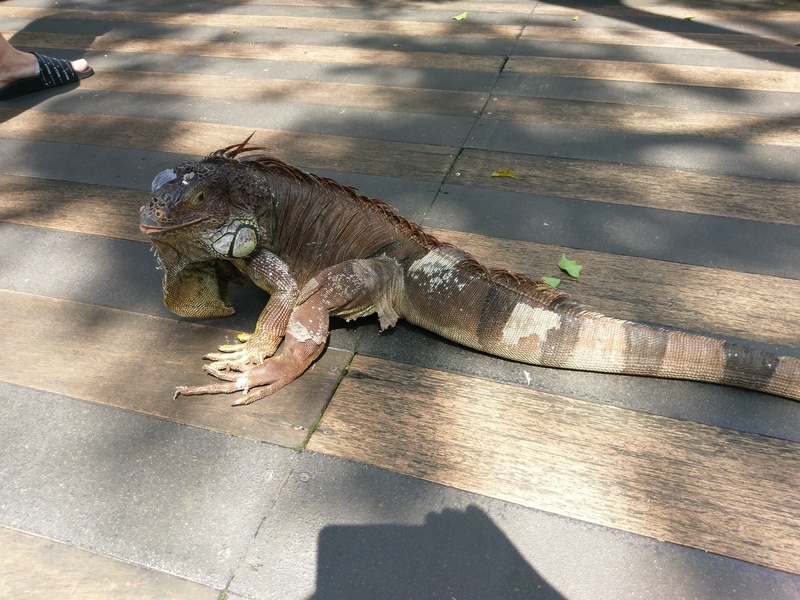 The second Singaporean is an iguana, Iguana iguana, and probably the nominate subspecies, Iguana iguana iguana. It is a Neotropical species, found from Mexico down into South America, and some of the West Indian islands. The first species looks like it could be the legendary dog-faced bat. I’ve always wanted to see one. Any face-on pictures? There is a monkey in the bat photo as well. yes, with a very bushy tail.